NASA has just released outstanding video of the “dark side” of the moon – fully brightened – as the Earth’s natural satellite was moving across the bright side of our planet. The exceptional shots were taken by the Deep Space Climate Observatory. 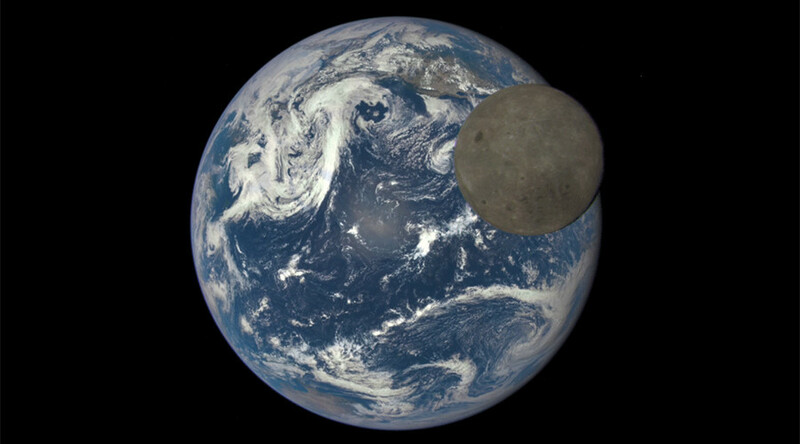 Taken by the Earth Polychromatic Imaging Camera (EPIC), the photos show a distinctive view of our planet and the moon from nearly one million miles away. The capture of this exceptional sight was made possible due to the revolving trajectory of the DSCOVR satellite that is located between the Sun and the Earth, giving it the ability to see the far side of the moon. The sequence of images captured on July 16 were assembled into GIF animation that shows the moon flying over the North America and the Pacific Ocean. The images captured from the satellite’s point of view also noticeably display the tilt of the Earth, with the North Pole sited in the upper left corner. DSCOVR that was launched in February this year is also intended to collect a series of measurements from ozone and aerosol amounts to changes in Earth’s radiation. But one of the satellite's durable weapons is the EPIC which captures full-color snaps in sets of 10 images by means of different narrowband filters – from ultraviolet to near infrared.